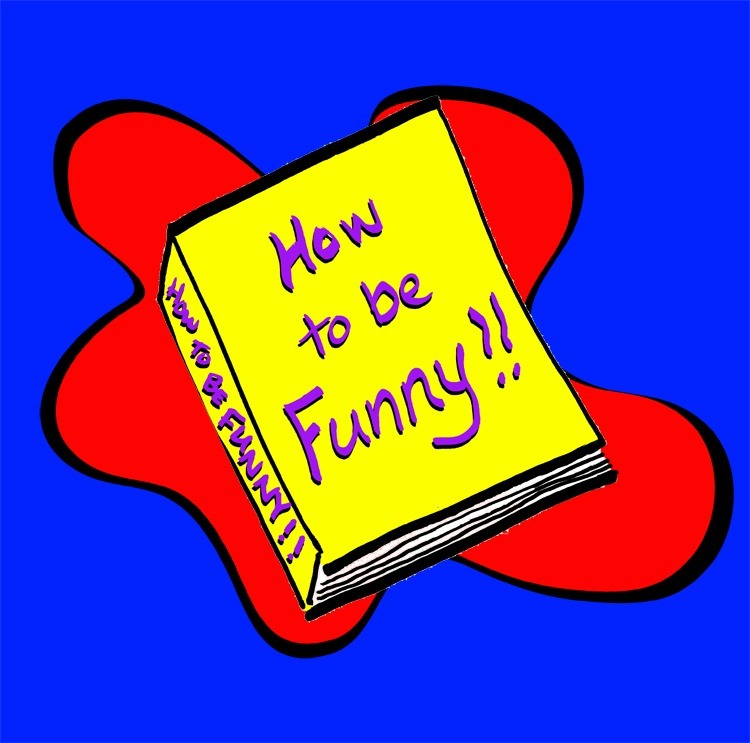 If you want to learn how to be funny, look no further! Sorry...It doesn’t happen that way. I wish it did…it would make my job of teaching people how to be funny much more easy. If you read my article on how to be quick-witted, you know that it is not an overnight process. You’re going to have to work hard, it’s always going to have to be on the tip of your mind, and you’re going to have to get used to being laughed at…not in the good way. Plus, if you read my article on how to be a stand-up comedian, you'll remember I mentioned that your best source for humor is YOU!! So...I’ll elaborate on that, I'll give you some suggestions for other humor sources, and I will give you some tips on how to be funny!! Capisce? Bella! Have you ever heard a baby laugh? It is one of the most delightful sounds in world. I once heard someone say that babies laugh when they make new connections with their brains…and it got me to thinking, "it’s not just babies. We all laugh when we make a new connection with our brain. We hear or see something that has a twist, changes our perception of the way we were looking at it normally, or it is something completely different (as Monty Python would say) and it catches us off guard." With that in mind, it’s time to teach you the process of being funny!! DON’T JUMP RIGHT IN…START LITTLE, START SLOW, AND START WITH A SHORT STORY. You, and only you, know the kind of people you want to hang out with, the ones that make you laugh…the ones who you want to make laugh. Start with people you know and love. You’ve probably already made them laugh before, now you’re just going to focus your efforts. If you don’t know your audience, do everything in your power to get to know them. How are you going to be funny if you don’t know how to catch them off guard? Most good comedians, when they hit a comedy club in a town that they aren’t familiar with, will ask around…”what’s the popular hangout…what ______________ (part of town, rival school, politician, etc.) does everybody around here joke about…what is this town famous for?” The comedian will integrate that stuff into the act and the audience will laugh and be impressed. You can do that…it just takes some getting to know your audience…oh yeah, and rehearse. A few years ago, American Express did a commercial during the Super Bowl where Jerry Seinfeld was trying to do comedy in England and fell flat on his face. He used his American Express card to get to know the English people better…going to local pubs, hanging out in the neighborhoods, and attending the sporting events. When he knew their style of humor and their esoteric ways, he was a hit on stage with his humor!! This is not only “finding your audience”, but it shows that he went out and “lived” the material…he didn’t just write it. Yeah, I know it was a commercial and not even real, but it perfectly conveys the message I want to get across. The best material for you is the stuff you can relate to. Your stories…your humor…your writing. Let’s delve a little more into that category…YOU! !…your best source of material. *Your most embarrassing moment – For me, this was the 8th grade Christmas Concert. *Your idiosyncrasies – Unless you’re trying to fit in, be normal, be average, you have idiosyncrasies that can be used to draw on your powers of humor. Some comedians even use these as their trademark…Sam Kinison, Gilbert Godfried, Steven Wright to name just a few. * Your fears – I have a great story about 3 of my greatest fears combined…Bugs Bunny, zucchini, and closed shower curtains. Some “friends” of mine used their knowledge of these fears against me. It’s funny NOW, but… Everybody has fears so they can relate. * Truth is Stranger than Fiction – I’ll tell you the whole story sometime, but for now I will tell you that this is an actual scenario: A clown was signing a contract in a casino lounge during 2 conventions (a convention for “little people” and a convention for “quadriplegic people”) while sitting next to a skeleton made out of balloons. Funny…and you can’t make up that kind of stuff!! * Make your life more interesting by making normal = abnormal. For example, I tell people that I have been married 2 ½ times. I also tell people that I’m only 7 years old (which is true…in doggy years). * Times when you were witty or clever. If you have started following my advice from the HOW TO BE QUICK-WITTED article, you may have some great material wherein you were quick and witty. "There was this time I had just pulled up to a stop light and when I looked over at the car next to me, I couldn't see a human driver, but I could see a dog in the drivers seat. So I rolled down the window and asked the dog how long he had been driving. At the point, the actual driver, whose head had been hidden by the body of the car, leaned forward to see who was talking to him. I then looked surprised. The human driver realized what had happened and laughed and laughed...I laughed and laughed. The people behind us waiting to go because the light had turned green didn't laugh and laugh..."
* Ask people you know if they can think of a time that they thought you were funny. You may be surprised how many times people have laughed at you…in a good way!! 3- DON’T JUMP RIGHT IN…START LITTLE, START SLOW, AND START WITH A SHORT STORY. One of the most painful, yet memorable episodes of “The Brady Bunch” was when Peter is feeling like he had no personality, so he decided to become “funny.” As a result, he was telling jokes (one-liners) and doing impressions (“pork chops and applesauce”), but he went about it all wrong. He tried to tell jokes that had been written already and every time he did, someone else told the punch line…(one of the reasons you should draw from personal experiences and not use "used" material). Finally Mike Brady (the dad) told Peter to be himself. That’s what I’m telling you to do. But now I’m telling you start small…don’t create a whole routine, just have a couple of funny stories about yourself ready for the right moment (don’t tell jokes, tell short stories…there are some people who can get away with telling jokes, but they are usually seasoned humorists and they know the right time and the right place). In a conversation, slip it in (your story) and wait for the reaction. Two things could happen...either they didn’t laugh because they weren’t your right audience or maybe your story wasn’t as funny as you thought it was (don’t worry, that happens to everybody), OR they DID laugh…meaning you were in the right place at the right time, with the right audience. Keep that story tucked away for future tellings. You've got a winner. I am not a fencer, but I like the lingo. In this case, it merely means rehearse, rehearse, rehearse… You should know, and expect the fact, that you are going to fail sometimes…more times than not. But after a while you’re going to get the hang of it and you’ll be able to keep up with a crowd of people or knock someone's socks off in a one-on-one conversation. Get in there and get messy and bloody…say to yourself, “Even if I go down in flames, I’ll be excited that I went through it…I will feel the rush of adrenaline running through my veins because I did it.” (This is a great life skill lesson that anyone can and should learn). Then go back and try it again!! It is thrilling!! Now you know how to be funny!! Perhaps now would be a good time to use the incantation on you that I tried at the beginning of the article. Ooops! If you haven't put this information to work yet, the magic spell will probably just backfire and get me!! Buah, ha, ha, ha, ha, ha, ha, ha, ha, ha, ha, ha, ha, ha, ha, ha, ha,!! I know, I know...very funny! !